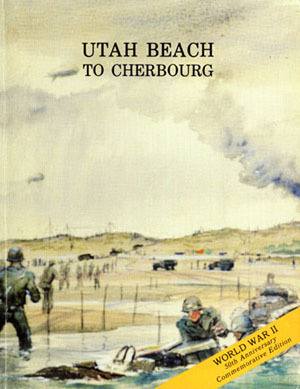 Utah Beach to Cherbourg, thirteenth in the series called AMERICAN FORCES IN ACTION, is the last of three narratives dealing with the U.S. military operations in Normandy. 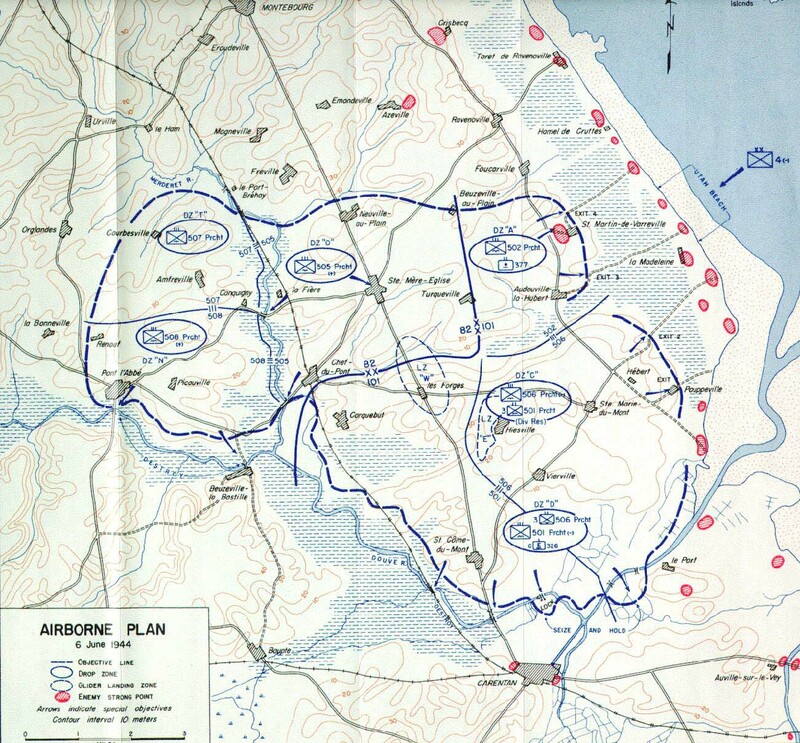 Intended as a companion volume to OMAHA BEACHHEAD, published in 1946, the present study rounds out the account of the landings at corps-level and below and relates the course of VII Corps combat operations which resulted in the capture of Cherbourg on 27 June 1944. 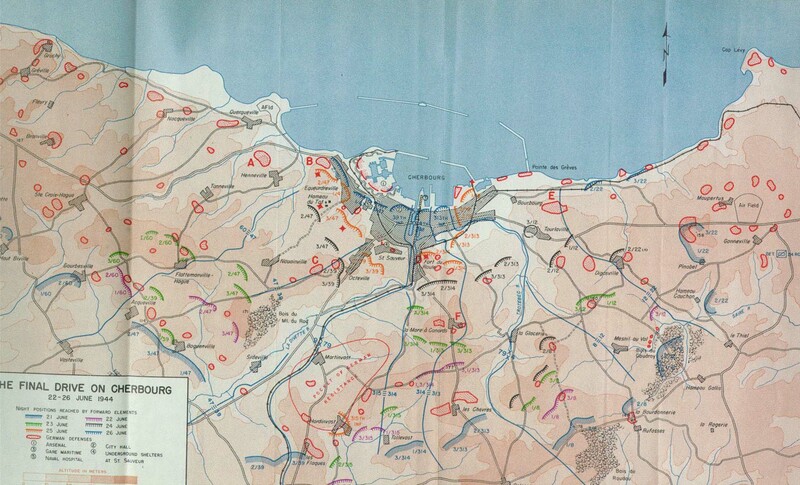 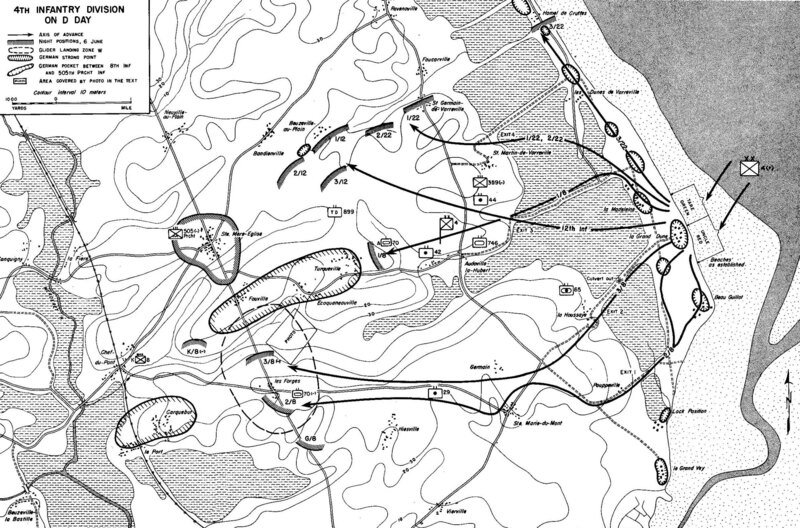 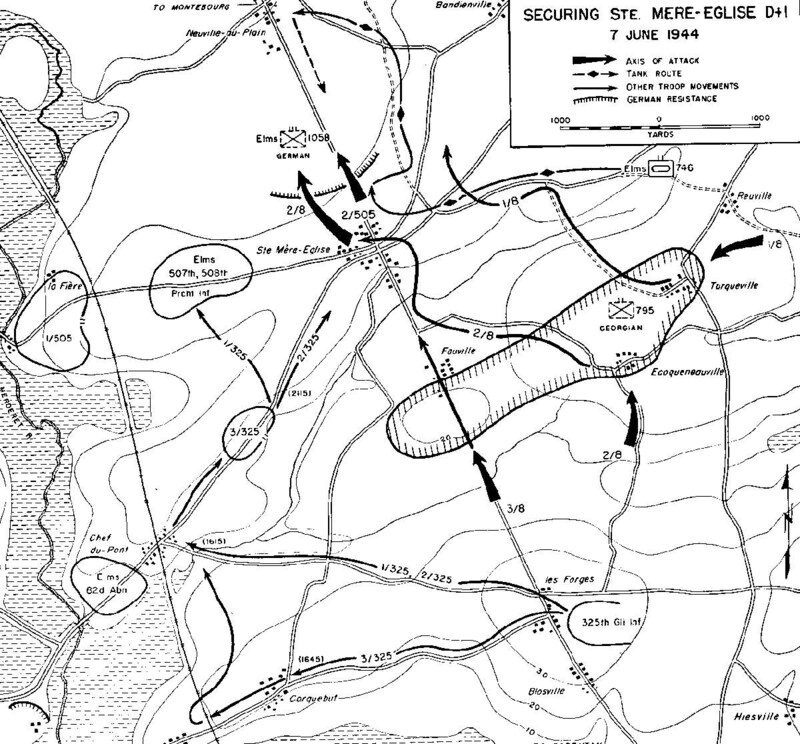 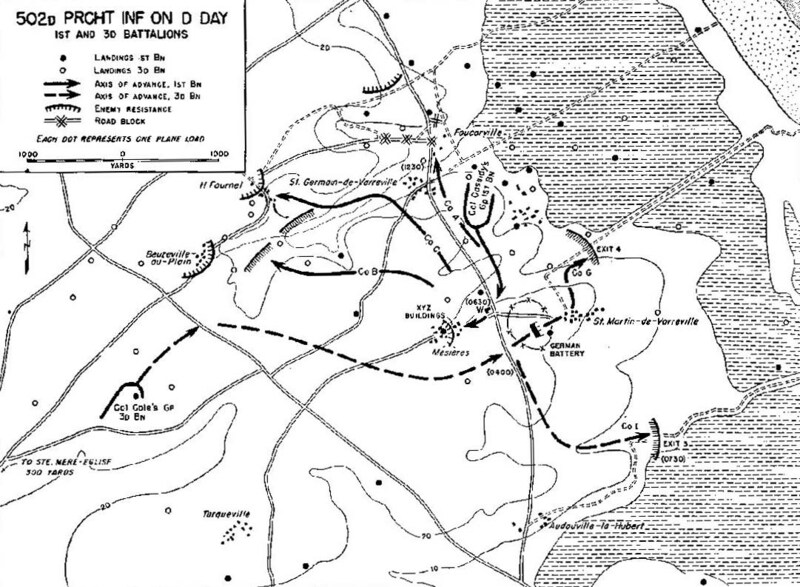 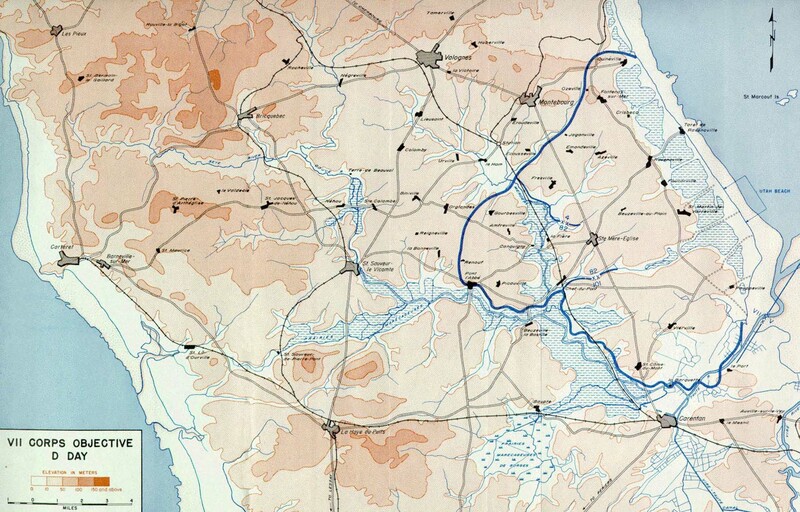 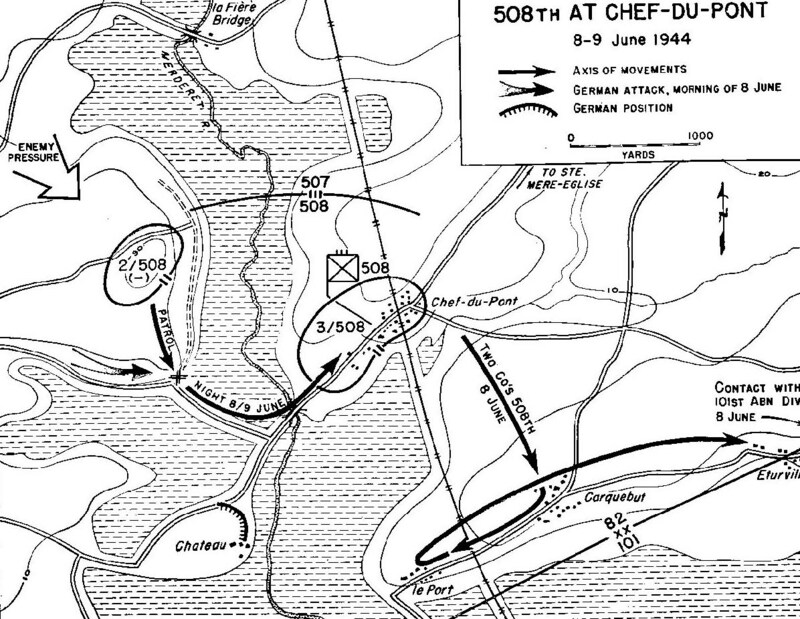 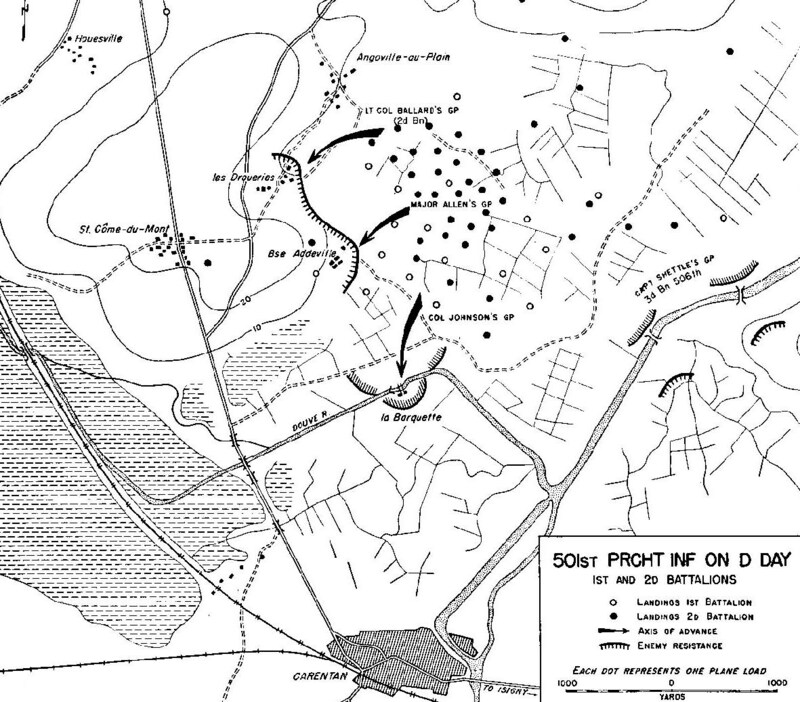 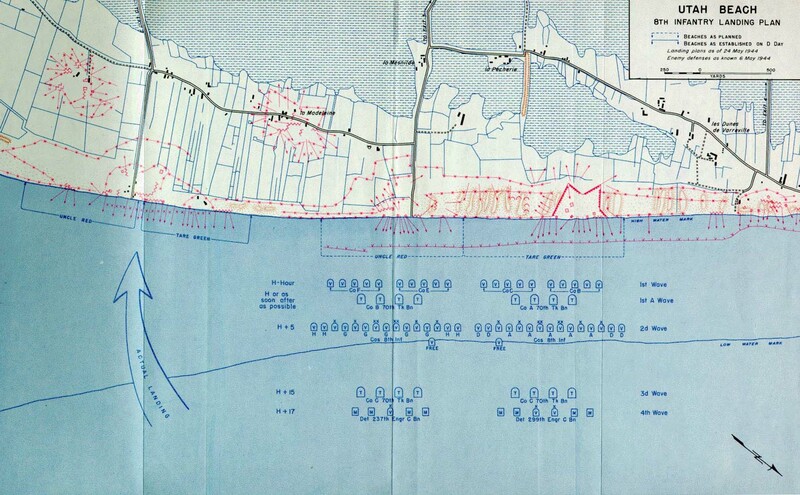 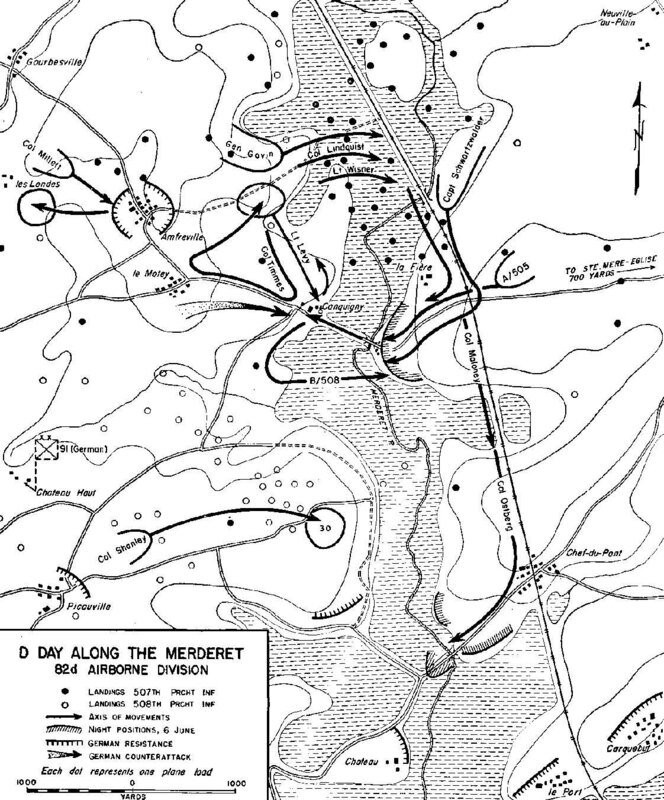 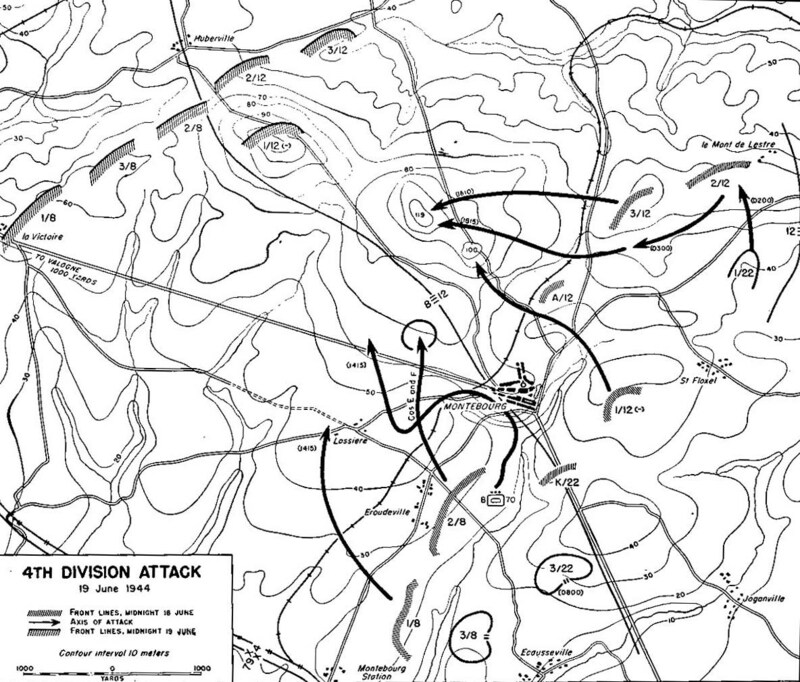 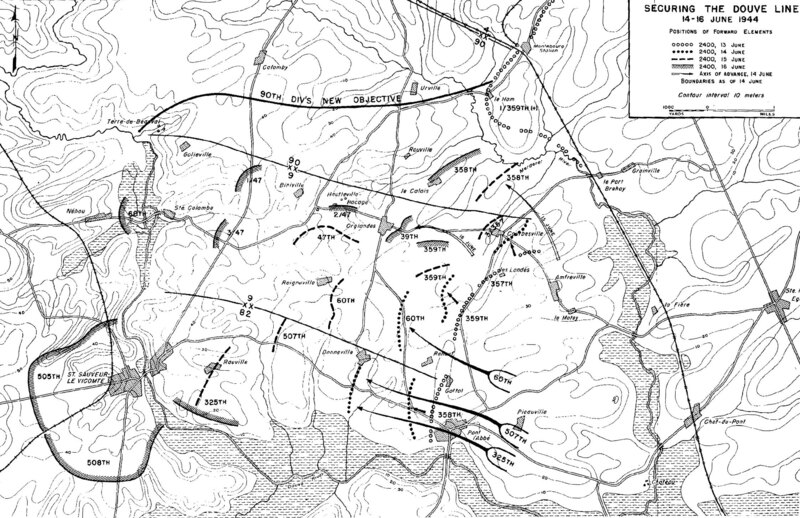 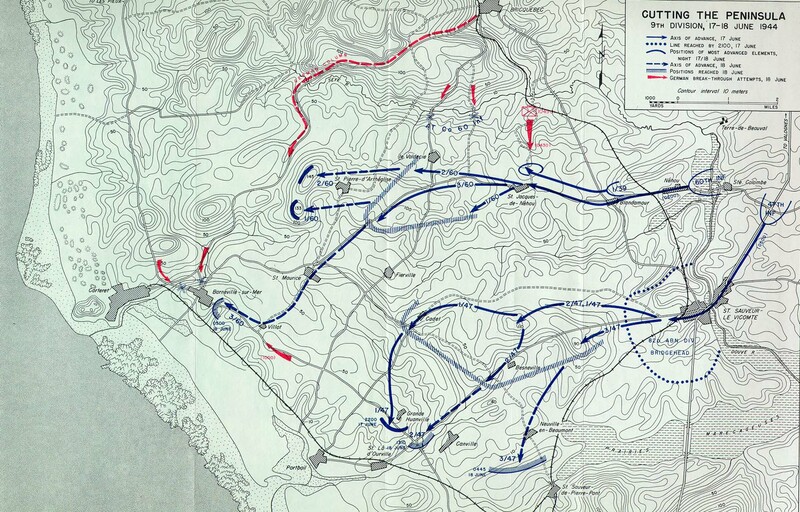 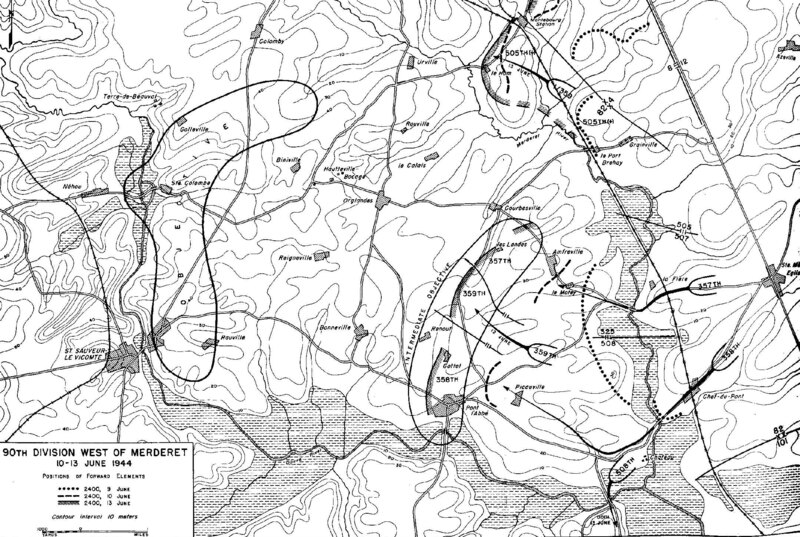 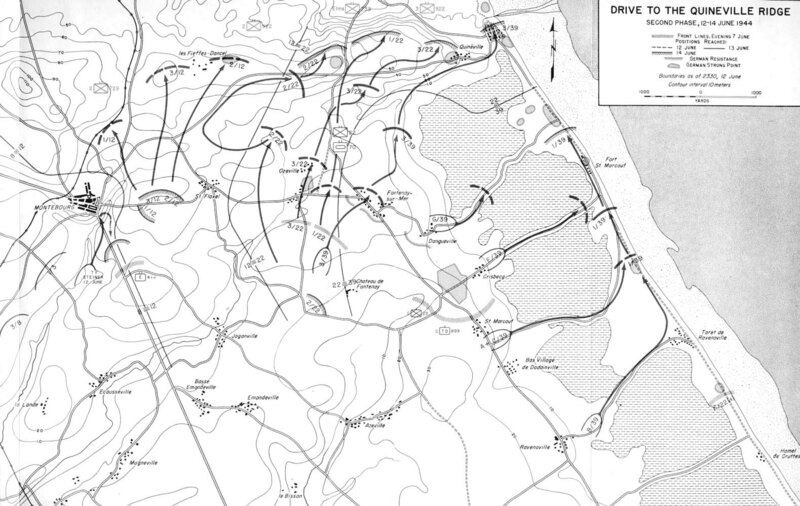 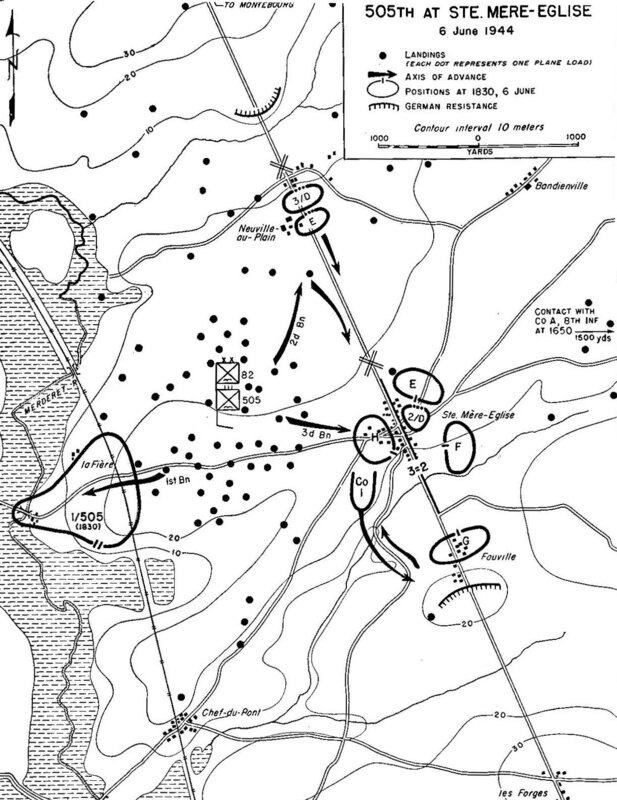 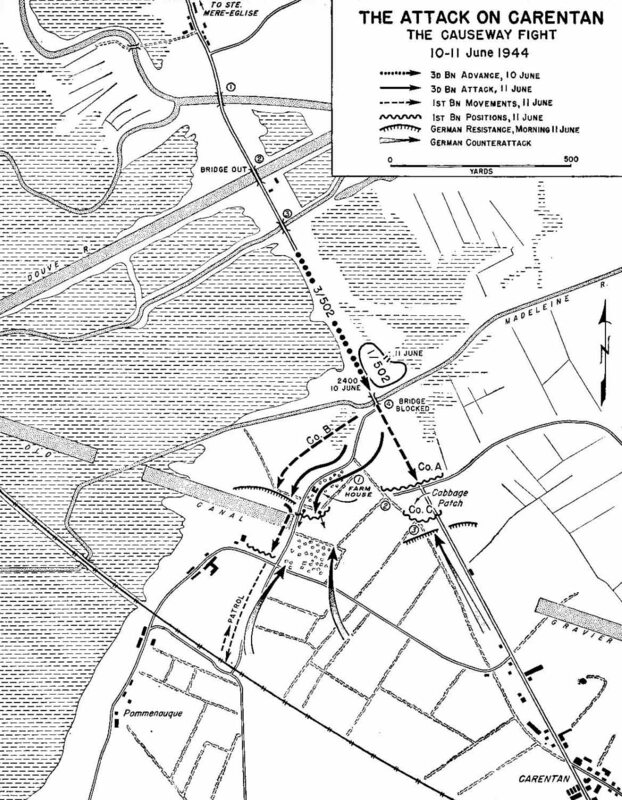 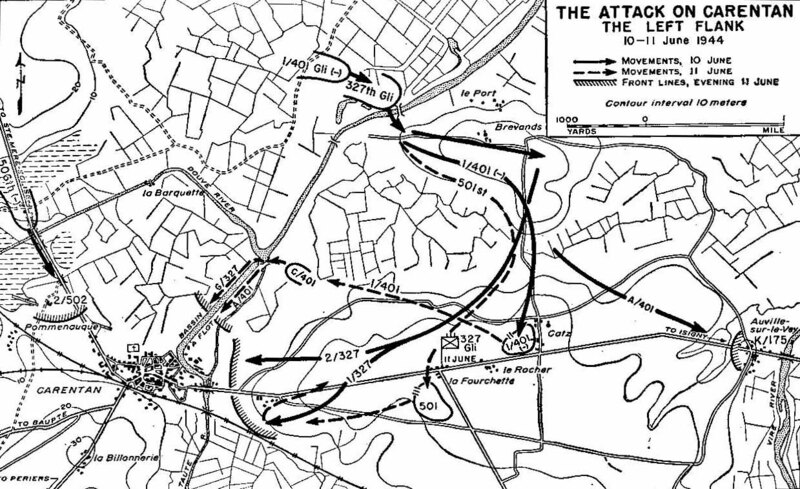 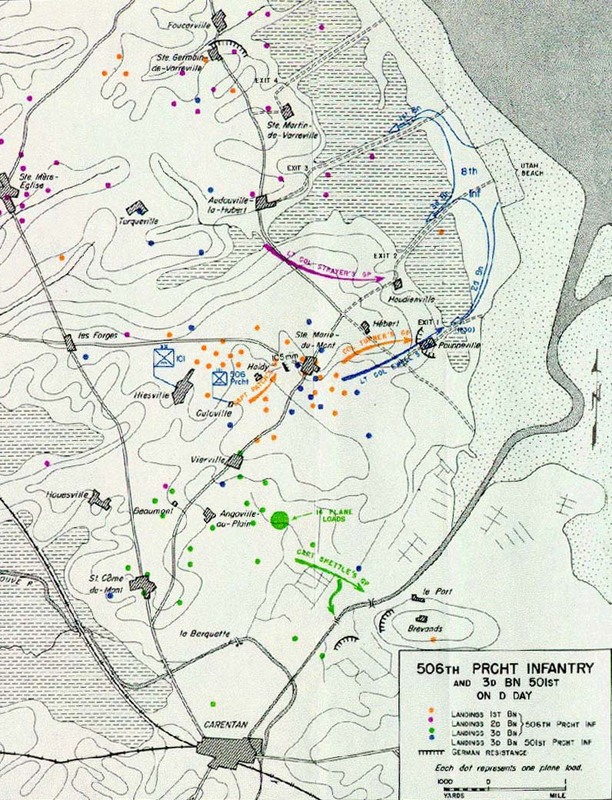 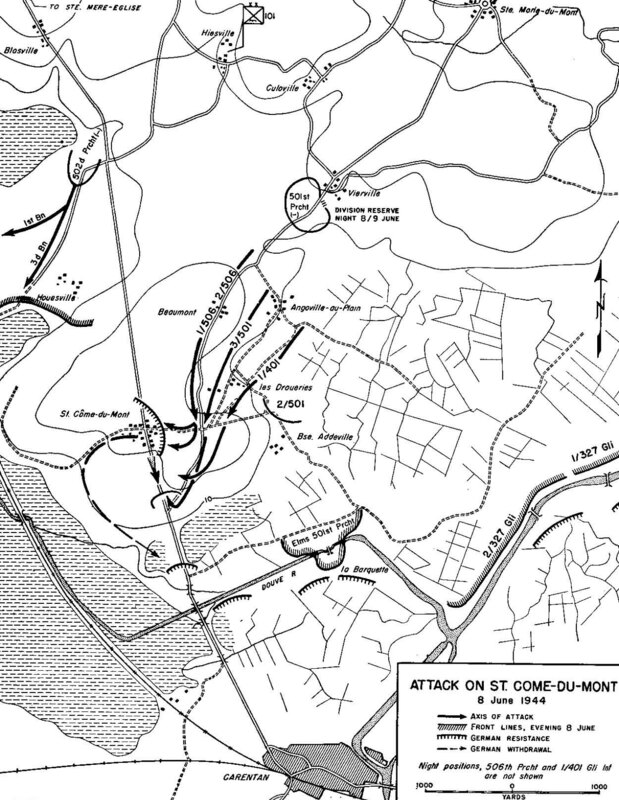 The third volume, ST-LO, relates the operations of a single corps in the First Army's offensive during the first three weeks in July, designed to deepen the lodgment area preparatory to the great breakthrough from Normandy. 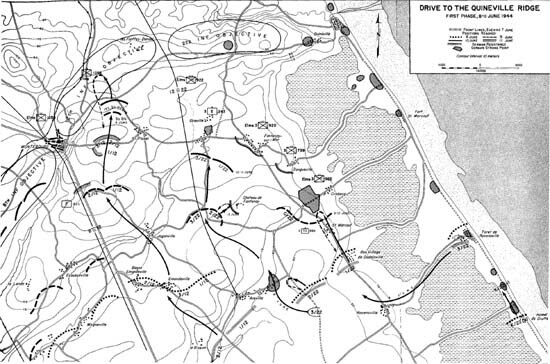 Utah Beach to Cherbourg is the work of Maj. Roland G. Ruppenthal, member of the 2d Information and Historical Service, attached to the First Army. 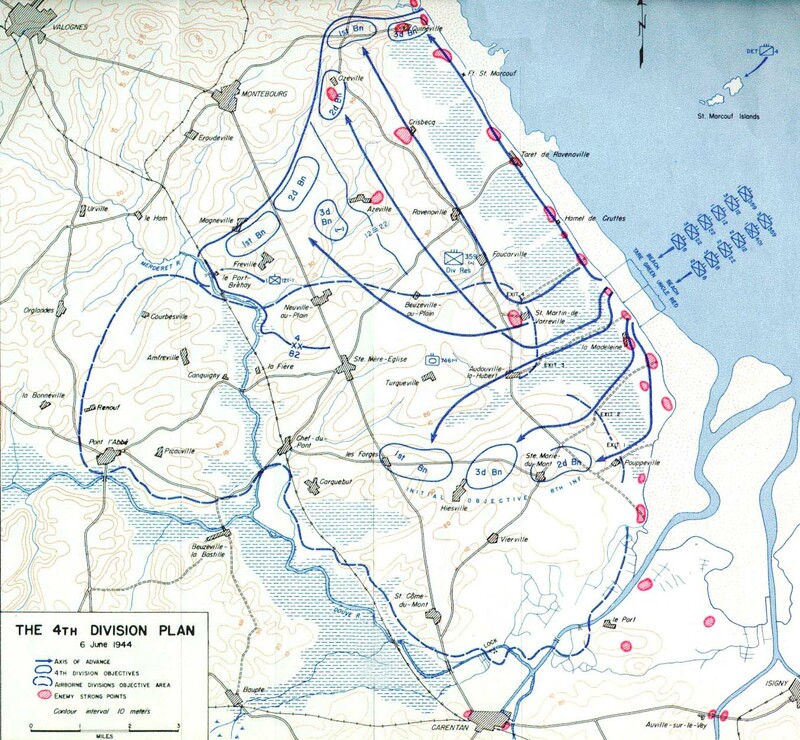 The manuscript was edited under the supervision of Lt. Gordon Harrison of the Historical Section, European Theater of Operations, and in the Historical Division, War Department Special Staff. 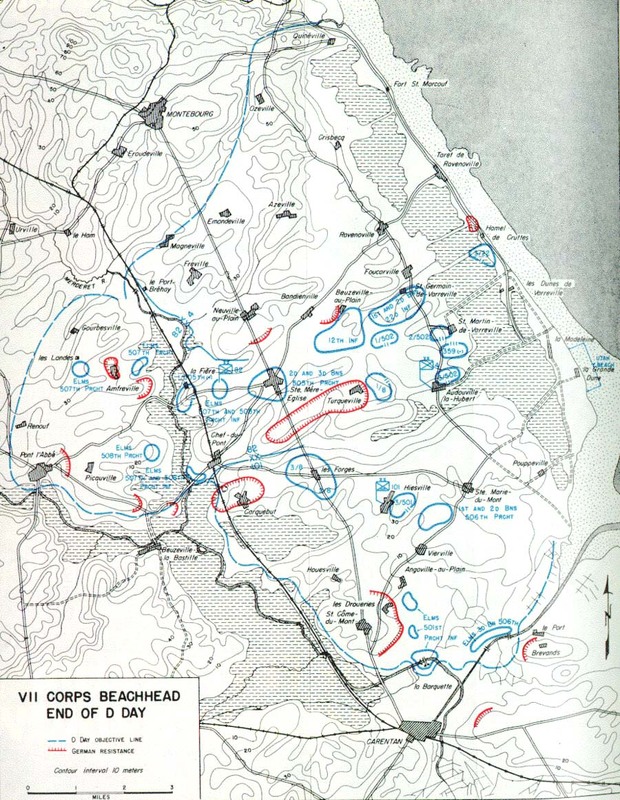 Although as published this book contains no documentation, the original manuscript, fully documented, is on file in the Department of the Army. 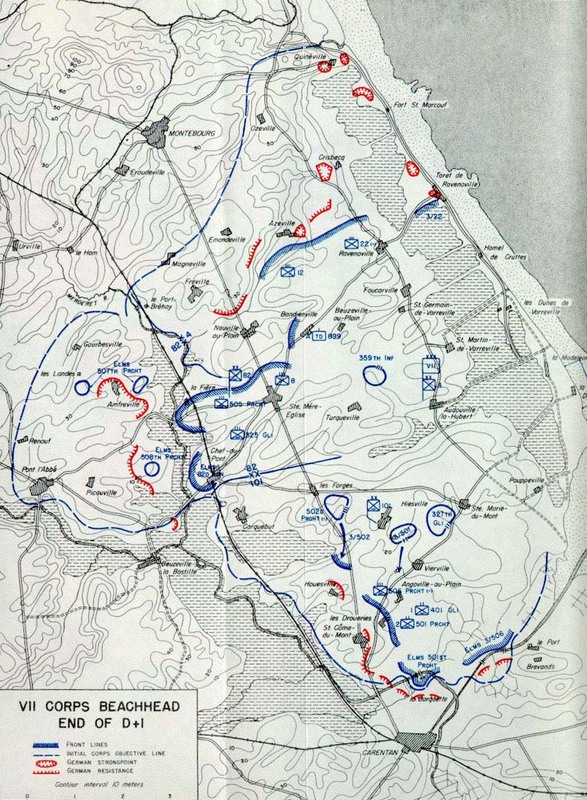 The sources on which the narrative is based consist primarily of the official records of the units involved and of data collected by the writer and other historical officers in the field through interviews with participants in the action. 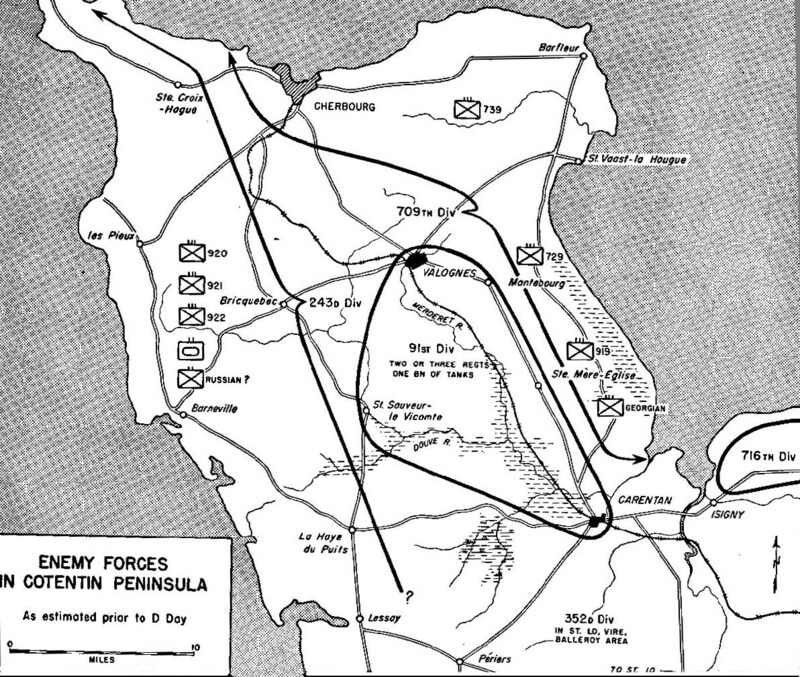 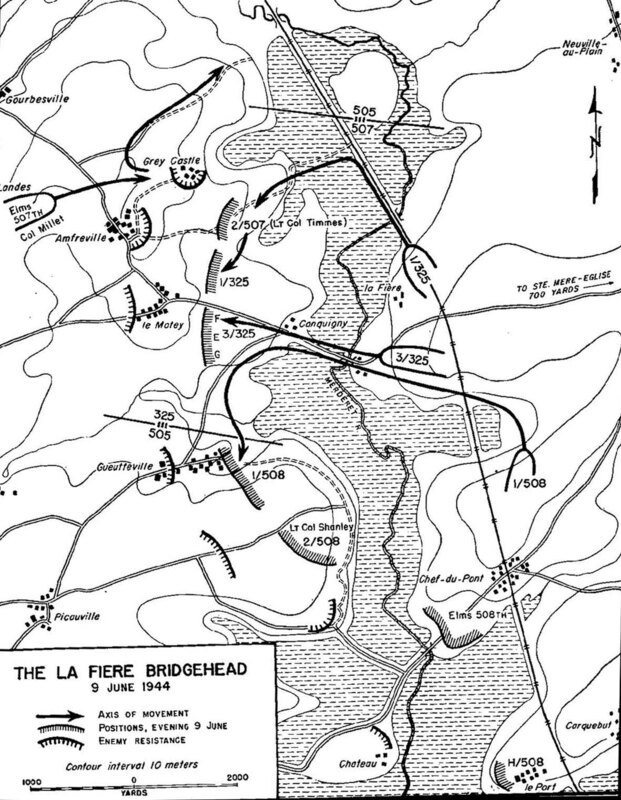 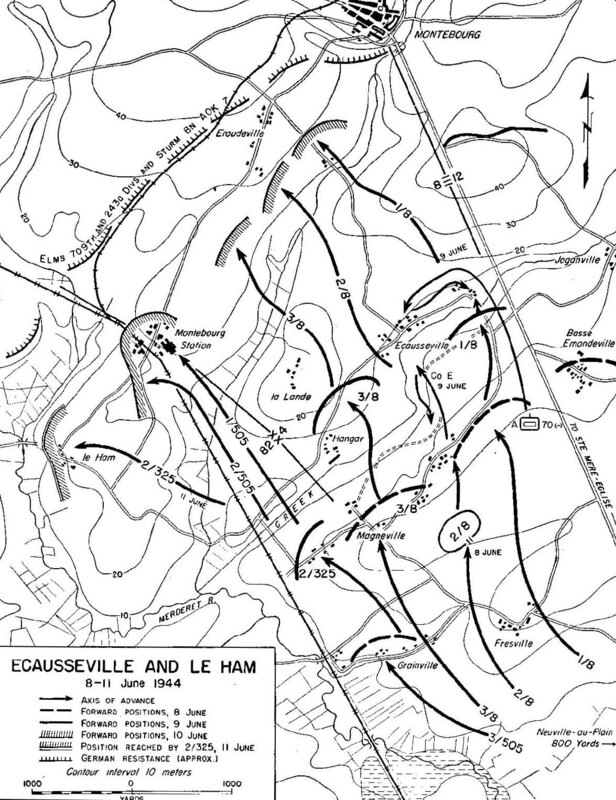 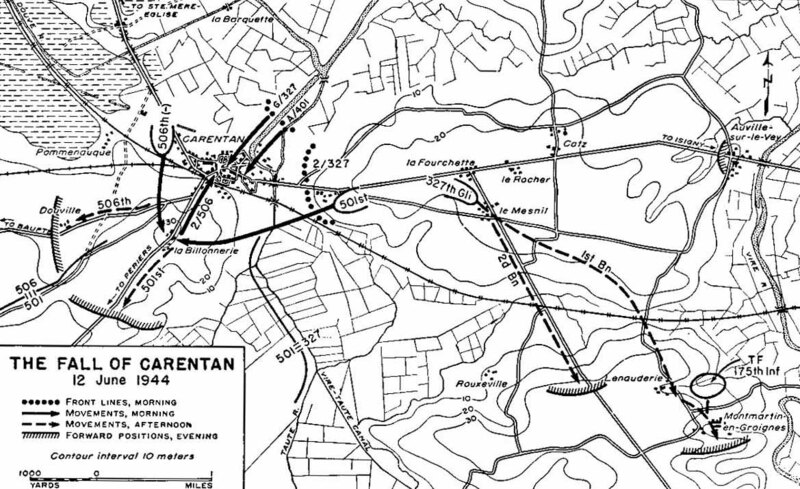 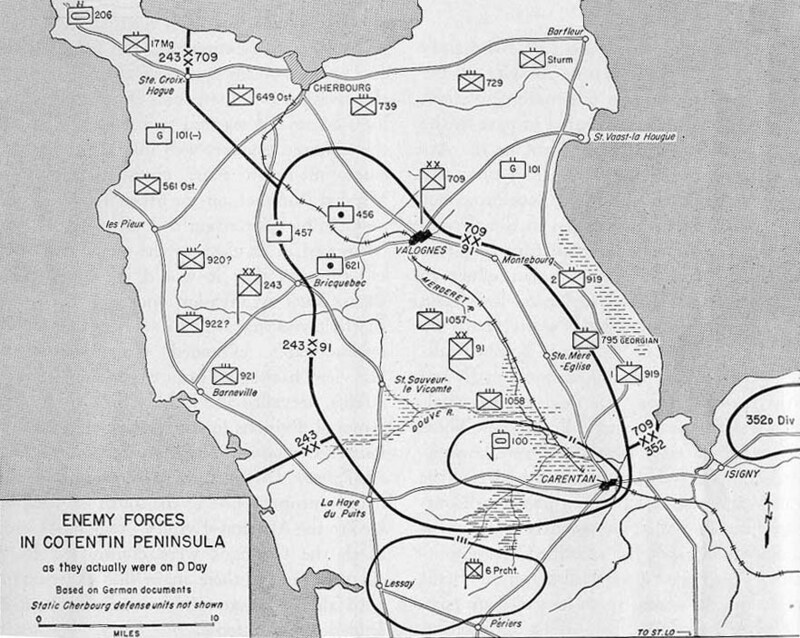 Material on the enemy was derived chiefly from the War Diary of the German Seventh Army, which was captured in August 1944 by Polish forces at Falaise; from interviews with high- ranking German commanders; and from the war diaries of divisional units encountered in the Cotentin Peninsula. 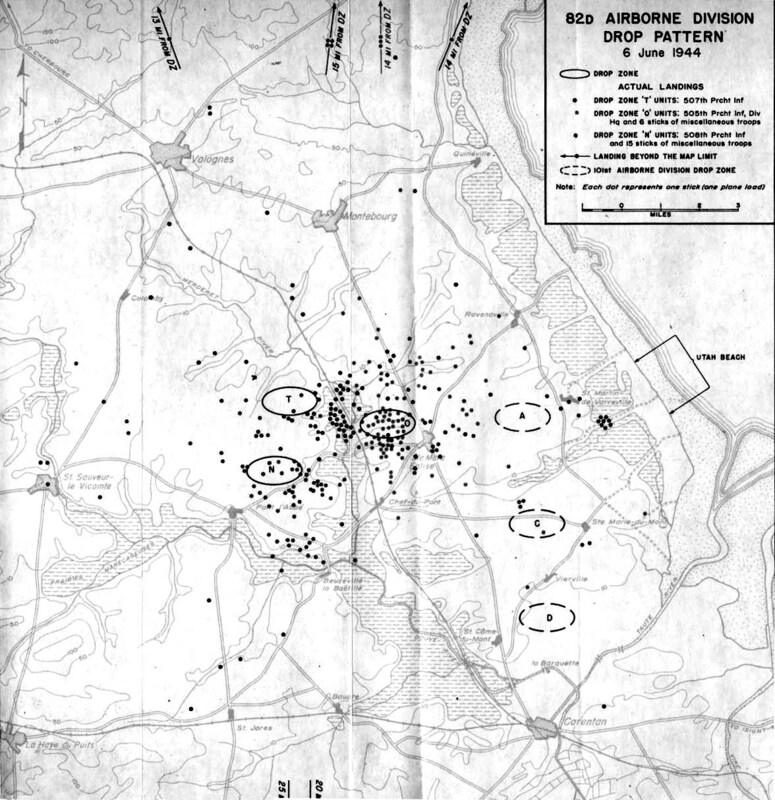 Of the American division records, only those of the 9th and 4th Divisions constitute adequate historical evidence. 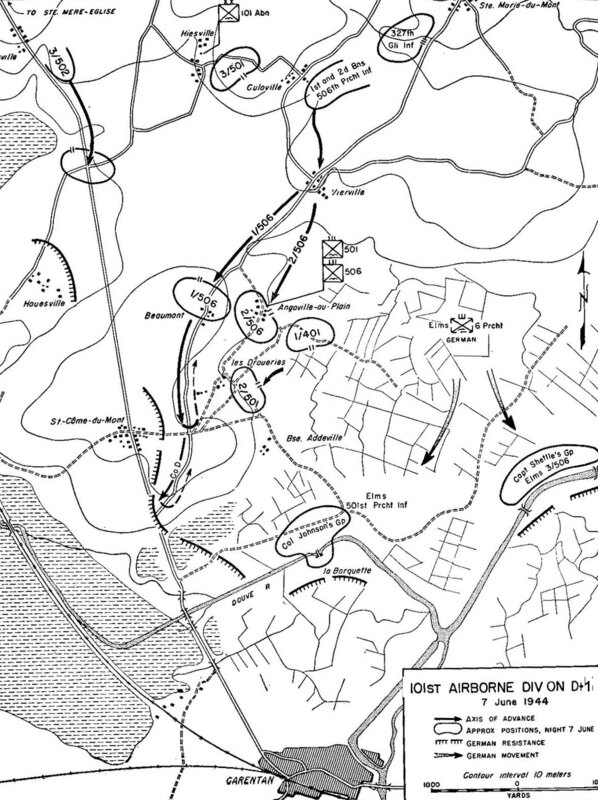 Only the barest outline of the 79th Division's operations was obtainable from official documents, and there were only scattered official records of the two airborne divisions. 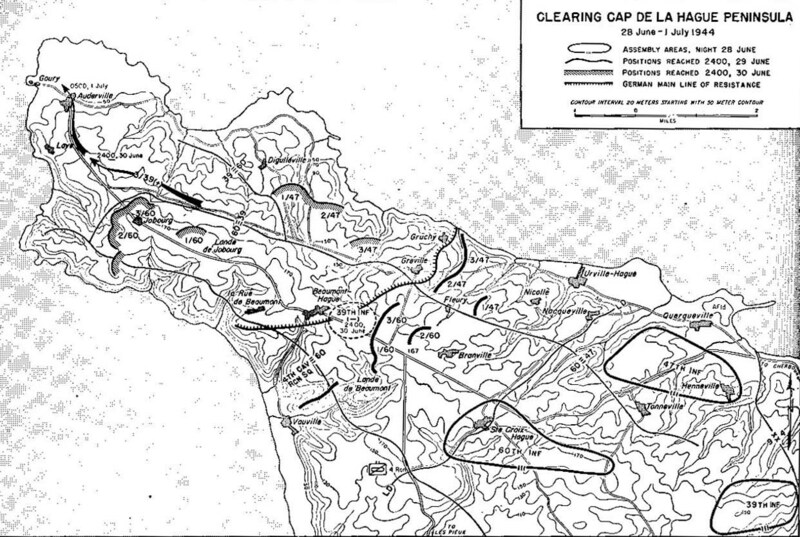 The gap in the records of the airborne division was largely filled by voluminous material gathered in interviews by Col. S.L.A. 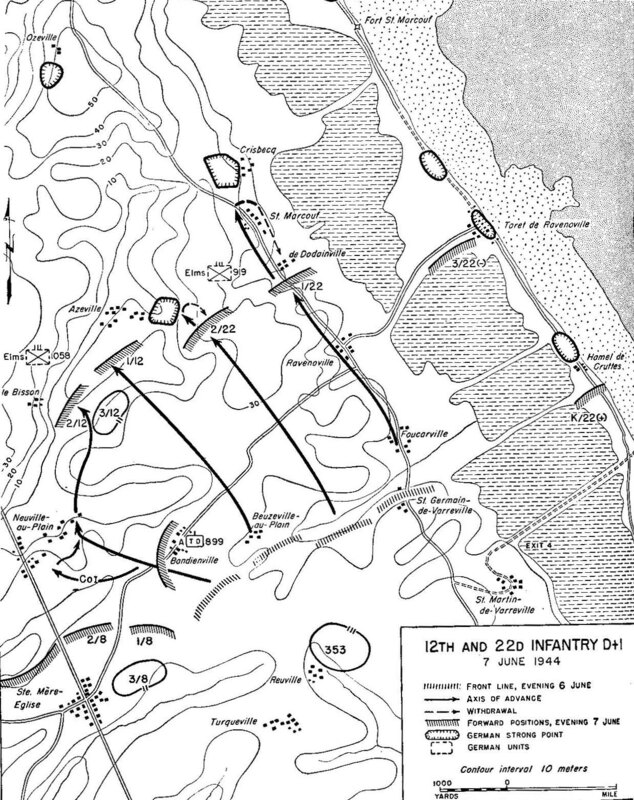 Marshall in the field shortly after the action. 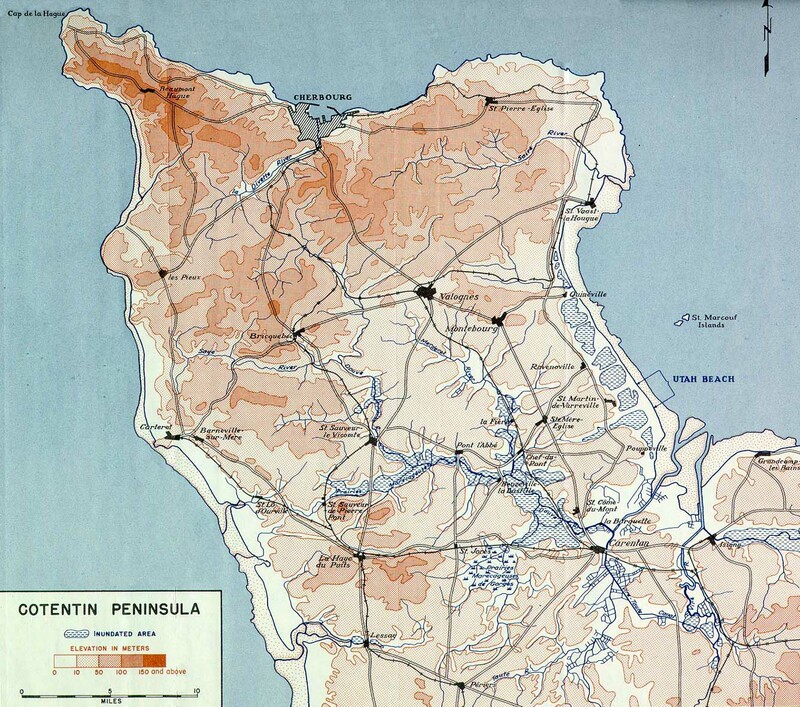 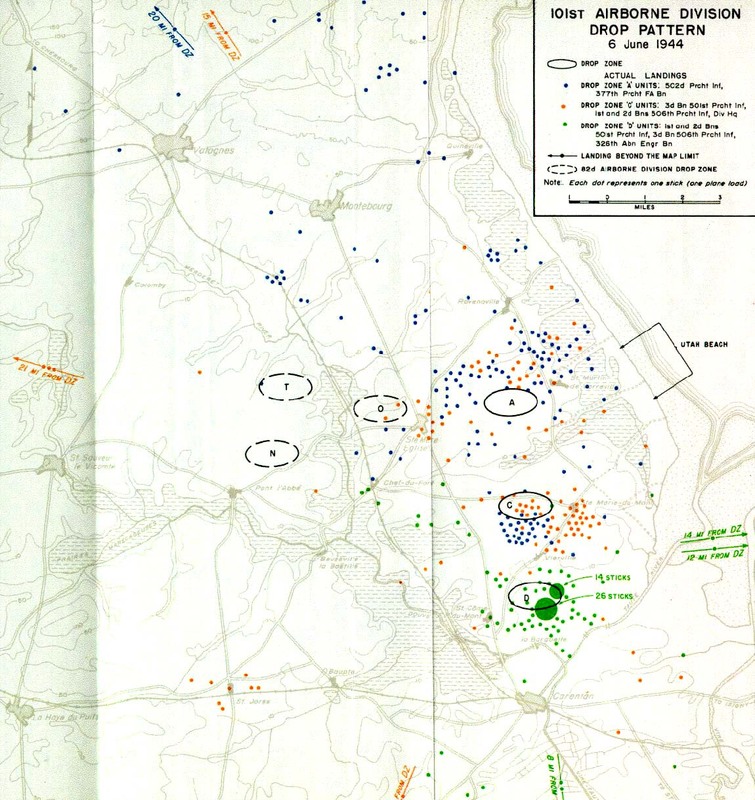 Supplementary data on the 9th and 4th Divisions were gathered by the author in the field, and additional material on the 4th Division made available by its historian, Lt. Col. William T. Gayle. 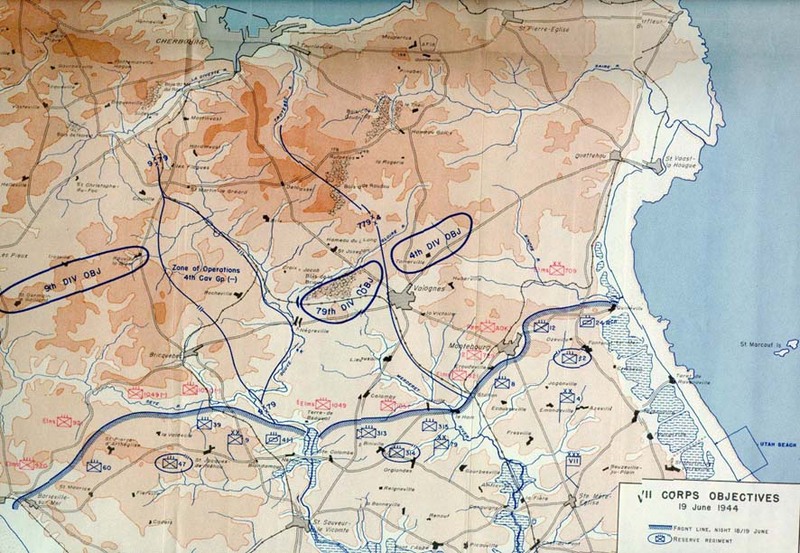 No interviews were held in the 90th Division, and in the 79th Division a first-hand account of one regiment's action was not obtained until 1947. 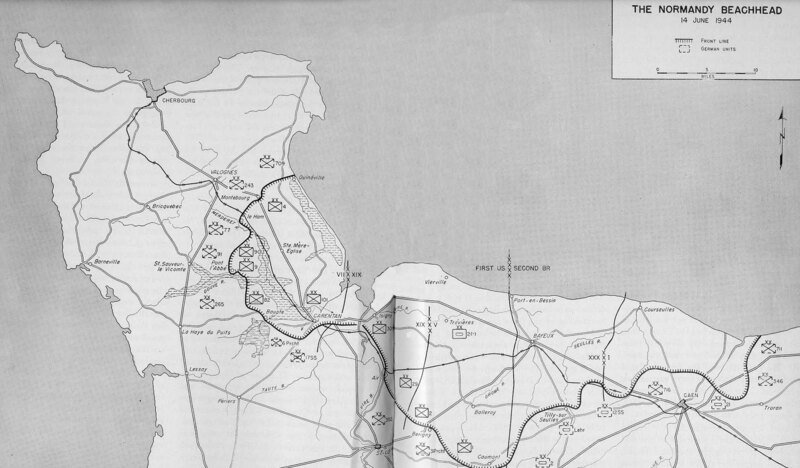 The paucity of material on these two division was keenly felt because of the inadequacy of their official records. 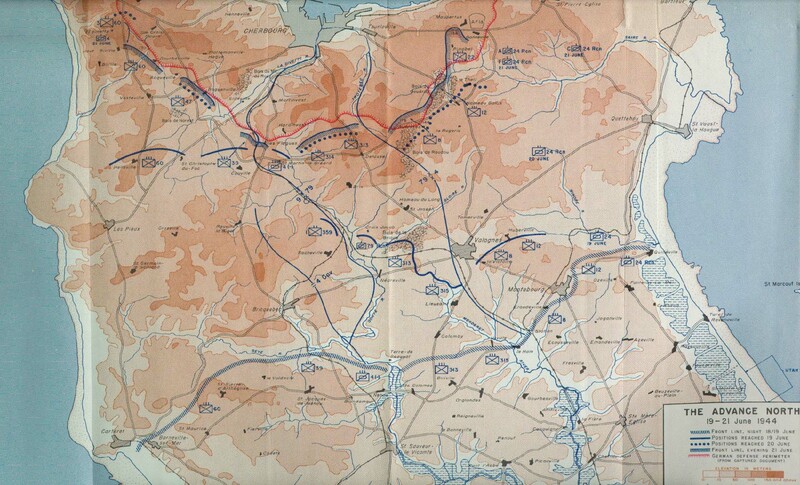 The maps were prepared in the Cartographic Section of the Historical Division, under the supervision of Mr. Wsevolod Aglaimoff. 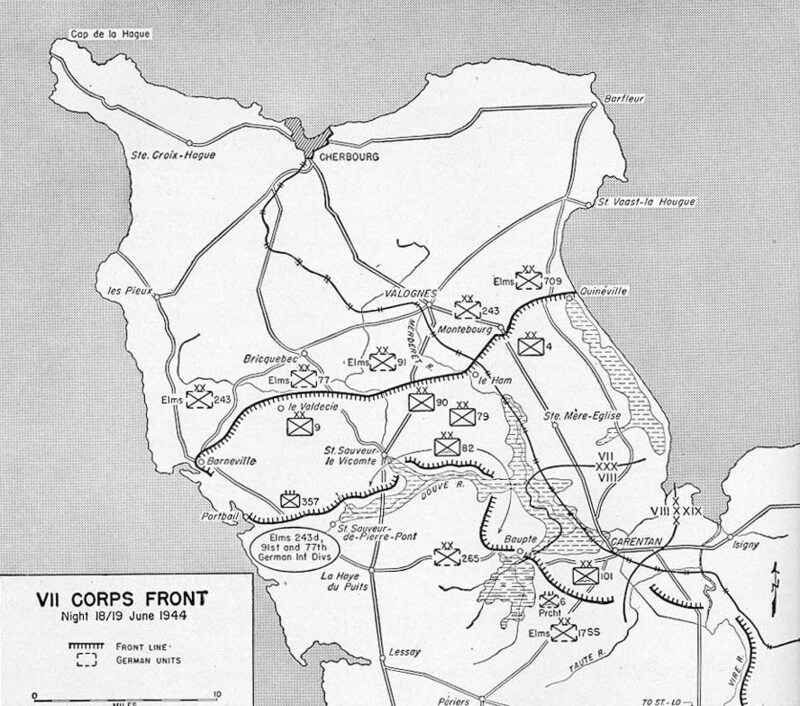 Photographs were selected by Capt. 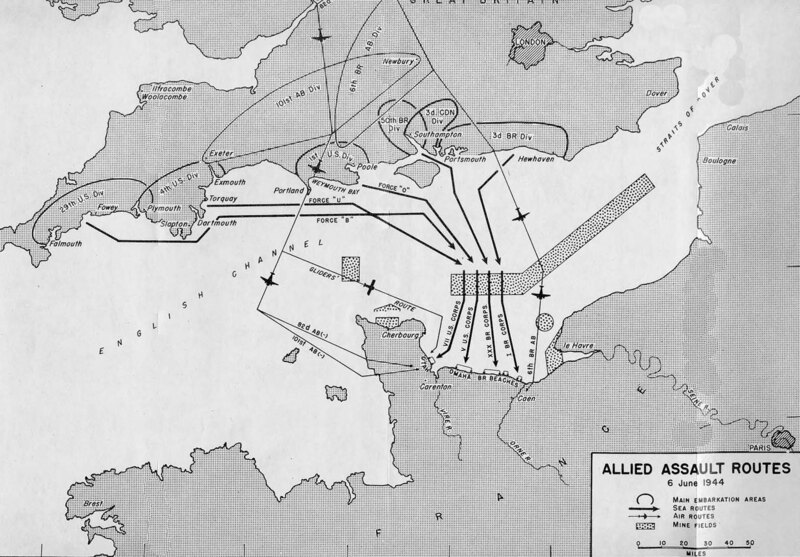 Robert Bodell from the following sources: Army Signal Corps, U.S. Air Force, U.S. Navy, U.S. Coast Guard, Acme News Pictures, The Associated Press, and Life.